Yeah, come on guys, I'd really like to read a few good reviews. Looking hard into one of these with the VS shaft /smile.png' class='bbc_emoticon' alt=';)' />. Ok here is my short review. Fantastic club the ball explodes of the face great trajectory does not ballon. You have to put a bad swing on this thing for it to work poorly. Only wants to go straight for me. And the shaft is great too. Love this club good launch and workable. Best looking and performing of all the hybrids IMO. I've tried and played almost all the hybrids except the 585H. The Adams' are easy to hit, forgiving, and neutral weighted. Most others are hook machines. The closest to the Adams is the old Hogan CFTs. Adams has a much better shaft in the VS. Simply the finest retail hybrid on the market right now. I bought this club on Jan 1st and I am still amazed at how good it is. I liked it so much I bought the whole set with forged irons. This set is awesome! I have the 4 and 5 Idea pro hybrid. Watch the Dana Quigley video on Adamsgolf.com. I love mine so much I have called and emailed Adams to see if they will bend one so that it has 6 iron loft so I can hit that too!!!!!!!!!! Ok update just got a 20 degree and a 27 degree(bent to 30) so I now have a 3, 4, 5, and 6 hybrid all with UST V2 hybrid shafts and these clubs are awesome. Well,if you can't hit this club straight and long you better get a new swing.Bought the #2 today and can't wait to hit it.Superb feel,perfect trajectory and did I say,,,STRAIGHT! Is it appropriate for a mid-high Hcp... ? I have a tour proto 22*. It's a great looking club. You may want to go with the A2. I have it and it's a great club! I think it's probably a little more forgiving than the Idea Pro. The great thing is that it sets up really well with very little offset. I think this works well for low handicappers too! I am a 1 handicapper and I love this hybrid. It is one of the only hybrids that sets up square with no offset, but the shaft is what makes this club great. The only problem is that when you replace an iron with this club, like a three iron in my case, it goes 15 yards further than an iron. Can be easily remedied by requesting a shorter shaft and - if necessary - heavier weight **** to make up swing difference if originally ordered through an authorized retailer. finally bought the 4 iron. (23*). UNBELIEVABLE. first shot 188 into 20mph wind. 3feet and birdie. absolutely no comparison between these and any other hybrid, and i have play tested them all !!!! That makes sense. I haven't had to flatten them out and I normally play everything 3* flat. I thought I'd buy and 3 and 4 so I'd have something to play while I got the custom ones and Adams told me in early Feb that they didn't have ANY head until April but I don't need the lie change that I thought I'd need. I can get my #4 up pretty high with a stiff VS Proto shaft and my 3 has an x and that trajectory is lower so you may want to try a lower flex or a shaft with a softer tip to get your ball flight up. 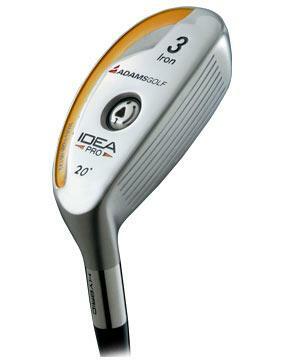 The Adams Idea Pro is a very nice Hybrid, and I have 3 of them; 2h (18Âº), 3h (20Âº), and 4h(23Âº). This hybrid is very Anti-left with no offset, has a great feel to it, and comes with a quality shaft installed. The 2h is my goto club off the tee when I have to keep that ball in the fairway. This clubs is fantastic for a 225y tee shot that goes dead straight. The 2h is also very nice off the fairway but anything higher than the first cut, I find this club just doesn't elevate the ball quick enough to be very useful from the deeper rough. Also, unlike most hybrids I have used, the 2h isn't as high launch and soft landing like a FT-Hybrid 2h (17Âº) that holds greens. So you have to give alot of run off room for your approach shots. Also, at only 18Âº, it's great for putting when you are just off the green. The 4h is the Money Club. In the deep rough, no problem. In a fairway bunker, no problem. It holds the green great on approach shots and as 190y club and is a great 3 iron replacement. The 3h is the inbetween club. It's OK from the rough and fairway bunkers and it holds greens better than the 2h. Chipping with the 3h works out well, but I don't think it's as useful as the 2h for distance chips or the 4h where you have the elevate it more to carry more rough/fringe. It's got some good distance and is a good club off the tee for those really long par 3's (like 200y) as it launches higher and lands softer than the 2h. If I was only going to purchase 1 Hybrid, it would probably be the 3h, but the 2h / 4h is a much better combo than just a 3h or 2h/3h/4h where the 3h seems redundant. Does anyone else notice how much farther they hit these. I bought the 23 degree to replace my 4 iron and it hits as far as my 5 wood almost. seriously. These clubs are long!! you said it goes 15 yards further for the same loft than the comparable iron it replaces..........if I am trying to replace a 18 degree 2-iron and want to match the distance, should I go with 20 degree? I've been thinking about getting a hybrid and from just testing a few my sense is that they play stronger than comparable irons; for example the 3h is stronger than the 3i. Your experience seems to confirm my own view that low spin combinations like the adams pro with the aldila proto shaft are not optimal for long/high carries especially out of the rough. My goal is to get that 190-210 club that plays well out of the rough and that seems to be the 4h. thanks for the good insights. ps: I've seen very little feedback on the 4dx... anyone compared it to the adams pro? pps: Another option to cover the 3h and 4h distance while still getting good performance out of the rough is to go with the 4h and a slightly longer shaft -- any thoughs on that? I purchased an Adams Idea Pro 20* (3 iron) with the Proto 80 stiff shaft to replace a 21* Titleist 585H with NV 85 shaft. Wow! The Idea Pro is so easy to hit and the 20* went further than my Titleist 17* 585H! I have bought it to be used as a 3 iron, but it is easier to hit, with a better ball flight. and carries longer than my 17*. Do I buy a 23* to use as a 3 iron now? 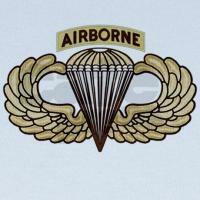 This club is awesome, I would recommend it to anyone. I have been using the 3h as a demo at the range (stiff shaft) and holy **** does that thing ever go high. I am trying to replace my 2 iron and the golf shop did not have the 2h to demo. Love the club though. You have to make a seriously bad swing to miss this thing. I am trying it out on the course tomorrow and intend to get the 2h but using teh 3h as a proxy for the overall feel of the club. I want to add a comment to those that talk about hybrid hooking a lot. I am hooking this one a bit more than usual but for me, it is because the grip is too small. I do not have gorilla hands but I do like extra thickness on the lower part of my grip. Maybe that could help those hooking other hybrids? I always fight a hook and do not have a problem with this club. High and straight! I have played hogan cft with steel shafts for a while and recently got rid of them. Nice and straight but stock distance and not so great out of the rough. I have tried mizunos fli hi and rescue back in the day but hooked both. Have recently tried the nickent 4dx and the 3dx dc. Both are very solid clubs with great playability. Stock distances with little backspin. I felt that the launch condition were to low regardless what shaft option. The green nv produced the best results. I the tried the cleveland hi bore nice but crappy shaft. Know to the adams I cannot tell you how great these clubs are. Nice high ball flight with workability. Distance is huge they are easily one club longer then the stated loft. It comes with the nv by you which is a stiff feeling shaft. So I decided to try the reg over my standard stiff in everything. I must say it was a smart choice. ss is 100-105 with driver. smooth-medium tempo. I have not played with these on the course but my range work is very promising. I bought the 4 and after a half hour at the range I went back for the 5. I will give another review later and let you know if I go for a 2. peace. I have one 3h iPro, and it is my only hybrid. It is one fine golfclub. I intend to get the 4h soon. Great and straight, and workable when you need a fade or draw. Great club! I just played my first round with my 18* 2h. So new that as I walked to the tee box of the 3rd tee, I addressed the ball before realizing I still had the plastic wrap and that sticker on the face. It gave my partners much amusement to watch that. However, I was definitely hooking this club and as I said in a previous post, I tend to do this with teh small grips on them as i like a slightly bigger grip. I play with full cord grips in my other clubs and only my 3 wood and the new 2h are regular and I notice the same effect in both. I plan to get them re-gripped along with all my clubs any day now. As for distance, I hit this thing about 245 off the tee into a moderate wind, which is comparable to my 2-iron. I hit an awesome approach on a par 5 but no idea yardage as I was, unfortunately, hitting from the wrong fairway /dntknw.gif' class='bbc_emoticon' alt=':partytime2:' /> . However, I needed to draw it around a tree and needed to get it up a bit, too and this club did wonders. I did over-hook it a bit but still managed to find the green, just not the part I was intending. As I am having difficulty figuring all my yardages in my new home town of Houston (everything flies farther than I am used to from SF Bay Area and New York, my two most recent residences prior to here) so hard to say if flying farter or shorter than my 2 iron in same conditions. The ground is pretty hard here most of the time and the ball bounces and rolls forever. That said, I am happy with the distance and will see if the hooking subsides with a new grip. Maybe I attack it too hard. Who knows. This is all a learning experience. The one time it went dead straight, I was playing for the draw. Go figure. Murphy worked his magic there with his law. Two weeks ago I added the 3i and 4i to my bag as and experiment with the hybrids. What I have noticed about the Adams Pro is that the 3i is equal in distance to my current 2 iron and the 4i is about 5 yards longer than my current 3 iron. My first round with the Adams I also experienced some wild hooks but have since concerntrated on a smooth sweeping swing and these are incredibly straight with no loss of distance. The proto shaft is excellent IMO and am considering adding either the 16 degree 1i or 18 degree 2i to the bag to replace my 4 wood. The jury is still out on the Adams 4i as I rather carry my current 3 iron for par 3's which I feel I have more control with distance and flight. Overall these hybrids are an excellent product!